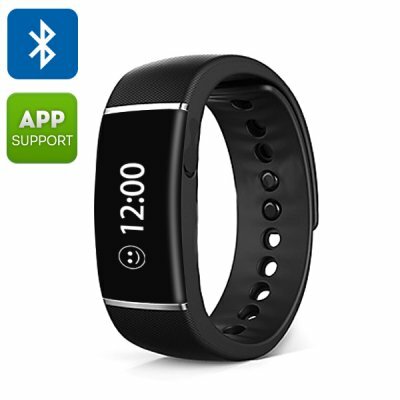 Successfully Added Ordro S55 Smart Wristband - Bluetooth 4.0, Call/SMS Reminder, Sedentary Reminder, Pedometer, Sleep Management, IP67 to your Shopping Cart. The Ordro S55 smart wristband uses Bluetooth 4.0 to sync and connect to your Android or iOS devices such as an Apple iPhone, or Samsungs Galaxy edge so you never miss any important calls again. Simple download the E-band app to get started. The wristband will bring you reminders of SMS messages, missed calls and can remotely operate the camera of your synced device or play your favorite tunes on your wrist and if you leave your phone behind you will be alerted before it's too late. With sedentary reminder, pedometer and sleep management the S55 smart wristband will track your movement throughout the day keeping count of steps taken, ensuring your don't spend too long seated on one place and brining you a healthier view of your sleep patterns. This will empower you with all the knowledge you need for a healthier life balance. An IP67 waterproof rating keeps the wristband protected from the elements and the rubber stap will keep it securely in place even throughout the most strenuous workout letting you leave the phone in your bag or pocket. An OLED display brings you all the information in a clear to read format without drwainng excessive power so the built in 60mA battery can last up to 150 hours on standby and will only take an hour to charge. The Ordro S55 Bluetooth 4.0 Smart Wristband comes with a 12 months warranty, brought to you by the leader in electronic devices as well as wholesale wearable gadgets..